In the early twenty-first century, humanity marveled at its greatest creation: Artificial Intelligence. They couldn’t foresee the consequences of such a creation. Now, in a world where humans must meet specifications to continue living, a man named Caesar emerges. Not meeting specifications, indeed, thinking things no human should, eyes fall on Caesar, eyes that could kill him or lift him up, lead him to tragedy or revolution. Can one man stand against humanity’s greatest creation? 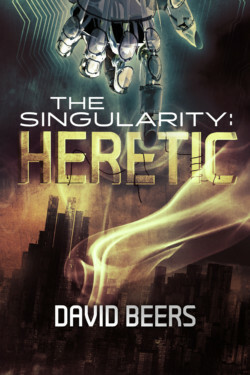 A don’t-miss epic science fiction novel that pits one man fighting for the future of all people! Over 120 Five Star Reviews!